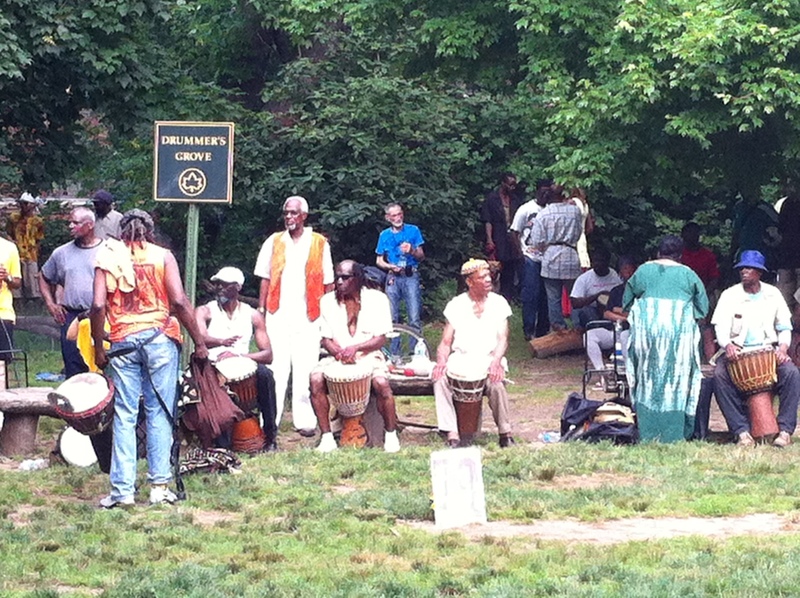 I stumbled upon Drummer's Grove in Prospect Park a few weeks ago while searching for a friends BBQ location. I was so surprised when my sister and I happened up on a serious live drum session with ancient roots. I didn't know anything about this Sunday celebration but I made sure to not only read up on the history behind it, but also capture some video. The rhythm, and energy created by the music makes you stop and take notice. You might even do a little 2-step!